For a blow-you-away rich glow and a plumper, smoother skin, try C- illuminating 3 D Moisturizer by Instytutum. With Vitamin C to brighten and Tri-Peptide-1 to stimulate skin renewal, skin is repaired from the inside out and remains fresh and hydrated for 24 hours. Enriched with probiotics, this moisturizer turns your bland complexion into the most beautiful radiance and is an easy, quick turnover for your skin problems when you need to instantly look refreshed. With anti-pollution/anti-UV benefits, wonder of a cream can be ordered at Instytutum.com. Start reducing wrinkles and fine lines from the inside out during the month of November with InstaNatural’s Collagen Age Defense, an anti-aging supplement that increases type 1 collagen and helps lessen the appearance of brown spots and wrinkles and tones your skin over time. Take it in the morning with your favorite drink and see your skin improve and look healthier for the holidays. 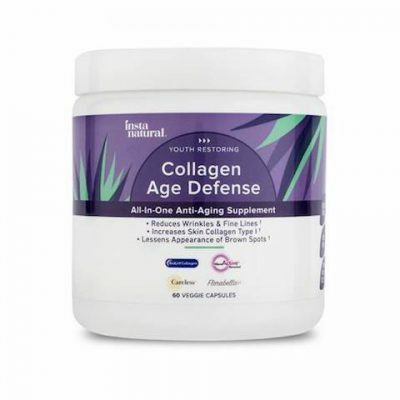 Find the 60 Veggie Capsules at https://www.instanatural.com/products/collagen-age-defense-supplement. Fight skin drabness and brighten it from the inside with Terry Naturally’s Ageless Radiance supplements. Utilizing a proprietary blend of nourishing ingredients, it increases skin firmness by 55% and skin radiance by 62%, according to studies. French grapeseed, SuperOxide Dismutase (SOD-B®), and zinc citrate constitute some of the fantastic ingredients that help revitalize your complexion, reduce dark circles, and even out skin tone. 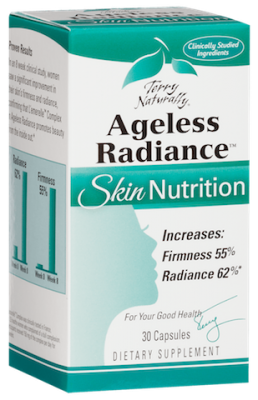 Non-gmo and vegan; learn more at https://www.terrynaturallyvitamins.com/ageless-radiance/. 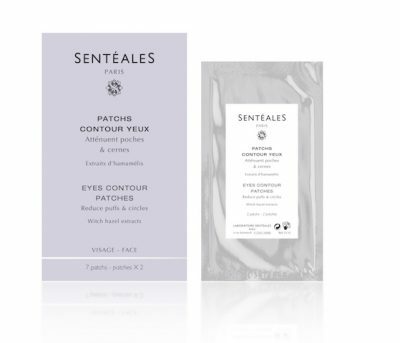 Rejuvenate your tired peepers with Sentéales’ Patches Contour Yeux. This rich serum brings comfort to the delicate skin around your eyes, thanks to a beer yeast extract that reduces puffiness and attenuates circles. Put on the patches an hour before heading out for the night for a super-refreshed look. You can definitely trust this Phyto Aromatherapy Parisian skin expert to bring out your natural beauty. To find them, head to https://www.sentealesUSA.com. For last minutes fixes before heading out to those holiday parties, grab Evo’s Macgyver — this multi-use styling mousse will help you out, and divinely! Whether you need to blow out your hair, bring out its texture, or just sleek it a bit, this non-sticky, super-light formula will transform drab hair into a much softer, energized and sleeker version. Try it at https://www.evohair.com/hair/macgyver. Pamper tired hands and feet at the end of the day with a moisturizing Candy Scrub with stimulating scents, such as Lavender Luxury and Mango Sorbet, as well as other irresistible flavors. Crafted with natural butters, fine salt, sugar, and richly-scented oils, these bonbons are easy to tuck into your bedside table. A tiny travel-size pack is included to take with you on your winter travels. This could be a colorful and original stocking stuffer, too! 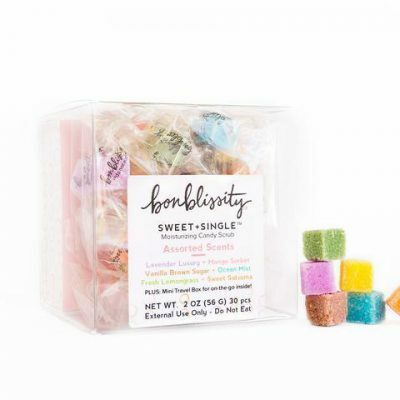 Purchase it at https://www.Bonblissity.com. 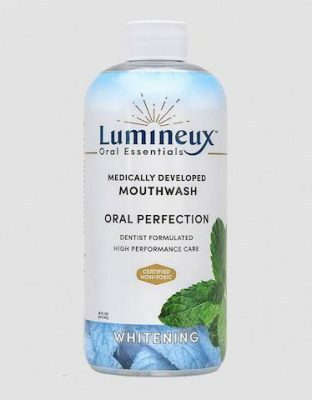 Freshen your breath and get your teeth sparkling whiter with Lumineux Oral Essentials / Oral Perfection, a medically developed mouthwash certified non-toxic that purifies your breath gently and whitens with no alcohol, no artificial flavors, no synthetic preservatives and with organic aloe vera. Use in combination with Lumineux’s Whitening Strips for a healthy, dazzling smile. Discover this awesome dentist-formulated collection at https://www.oralessentials.com. Beauty Best Bets for Skincare: Osmotics Necollete Age Reversal & Joyome Illuminating Day Serum.